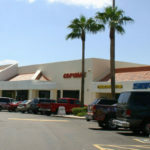 Based in Phoenix, Arizona, Fisher Commercial Real Estate is a full service commercial real estate firm that specializes in the leasing and sales of shopping centers, retail buildings, land, and other commercial property in the metropolitan Phoenix area. Learn more about us, our services and current listings. A technology driven leasing program that fills vacancies quickly! Capable of handling the disposition of shopping centers, land and other commercial buildings. Offering comprehensive commercial real estate investment services. Offering site selection services for your company's relocation and expansion needs. Creative investment opportunities including Land deals.